A small-town Rabbi's quiet life is turned upside down when his only daughter drops a bombshellThe only long-term occupants of Lud, New Jersey, reside in its cemeteries,a fact that suits Rabbi Jerry Goldkorn just fine. Never particularly passionate about his religious calling, Rabbi Goldkorn spends his days officiating funerals and burying the dead in the local cemetery. 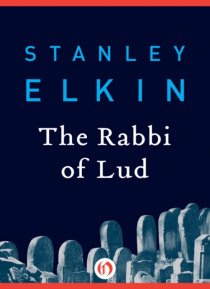 His life is simple by desig… nuntil one day his daughter's scandalous rebellion threatens to send his world spinning wildly out of control.Spiked with Elkin's characteristic wit, The Rabbi of Lud is a poignant satire of religious cultureand the story of one man's struggle with morality, mortality, and the meaning of life.This ebook features rare photos and never-before-seen documents from the author's estate and from the Stanley Elkin archives at Washington University in St. Louis.